The phone rang at 7:30 one Saturday morning. “Hi, Grandma.” It was my son, and the phone was on speaker. His kids were listening. “You never let me watch Jaws when I was a kid, right?” “Oh, yes,” I replied. Phone silence while his six-year-old and nine-year-old took this in. “Can I watch it now?” He asked. “When is your birthday?” (I knew the answer). “December 5,” my son replied (he’ll be 52). “You can watch Jaws after your birthday.” “OK, Grandma, thank you.” We hung up. Who sets them, who enforces them, and how do we grandparents deal with rules? 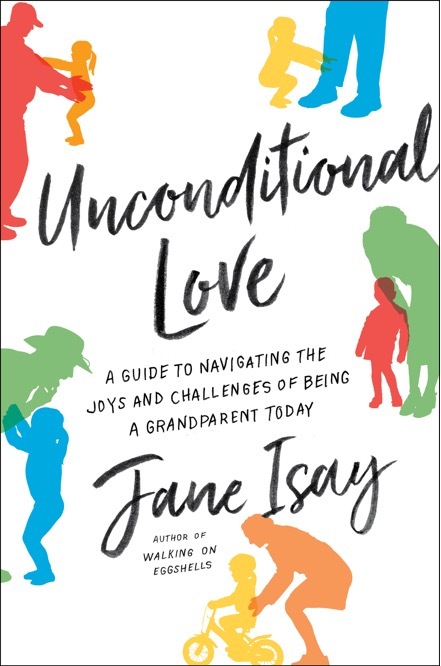 I’ve learned a lot during the years I was writing Unconditional Love, talking to grandparents, parents, and grandchildren. Parents must set rules and try to get their children to follow them. We need to be mindful of those rules, but we also have the joy of offering choices to our grandchildren, all of which are fine with us. So it feels to them as if there were no rules. This weekend I was with some grandmothers whose grandchildren visit overnight. One proudly told me that there’s a sign in her kitchen, “Abuela has no rules.” The other told me that her grandchildren were delighted with the fact that when they visit Oma there are no rules. The children relish the freedom they experience when they sleep over. If they want to stay in their pajamas all day, that’s fine. And if it’s Cheerios in bed for dinner, that’s also OK.
What they may not notice is the order that lies beneath their sense of freedom. It’s not really No Rules. The kids know that they have to be good. They can’t hit each other. They can’t throw things. If they take off their shoes at home, they are likely to shed their footwear when they get to Grandma’s. No Rules really means, “I’m fine with the choices I’ve offered you, honey.” Children get to choose among good alternatives. Who cares where dinner is eaten, so long as the cereal isn’t spilled. Who cares what’s worn, so long as it is warm and comfy. That’s how it is when my grandchildren stay with me. So when my son invokes my authority, in order to stop his kids from watching one of the scariest movies ever made, it means something to them. He could have just put his foot down. But invoking my authority made it easier for him to the protective father he is. That’s a splendid use of Grandma rules, don’t you think?